A brighter future is in your hands. 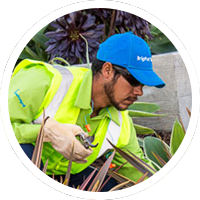 We’re currently seeking a Chief Estimator to join our BrightView Landscape Development middle management team. The Chief Estimator reports directly to the Branch Manager and is responsible to manage, train and develop a group of estimators preparing cost estimates and bidding on a diverse palette of multi-million dollar projects. In addition to overall duties of creating and maintaining an atmosphere of growth and development the Chief Estimator is responsible to review bids to ensure the accuracy of each bid based on the general conditions, site requirements, plans, specifications, and addenda. Attend all Pre-Job ‘Turnover- Kickoff” meetings with other Departments. Attend all weekly Staff Meetings with other Middle Managers. Work on multiple projects; perform multi-tasking and planning for future. Participate in all Design Build projects and be able to provide Budget Estimate or ROM. Leading and developing a team of Project Estimators. Perform takeoff, spreadsheet input; analyze plans, specs, construction notes and details. Prepare cost analysis recapitulating material, labor, equipment, subcontractor, and overhead costs incurred in the installation of items. Where predetermined standard(s) are not available, make an estimate. Preparing routine estimates in partnership with the Branch Manager and the head of Pre-construction. Review estimate with estimators for completeness and accuracy from start to finish and close out job on time. Put scope letter with qualifications and exclusions of each specific project. Evaluate Project Documents for constructability and value engineering opportunities. Analyze and strategize bids, competitors, margin, and bid closure. Support the overall goals and objectives of the local and regional teams. Proficient with computer software programs including MS Office suite (Word, Excel and Outlook). A plus: working understanding of Microsoft Project or Primavera Construction Scheduling software.